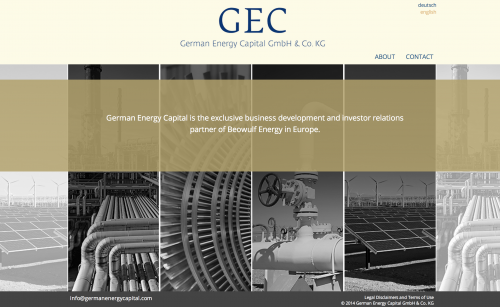 German Energy Capital is the exclusive business development and investor relations partner of Beowulf Energy in Europe. We redesigned their website to coordinate with our recent project to design Beowulf Energy‘s web presence. The site uses the company’s existing logo and color scheme, but features a modern design that works across desktop and mobile platforms. Additionally, we provided internationalization/ localization technology to provide content in both German and English.